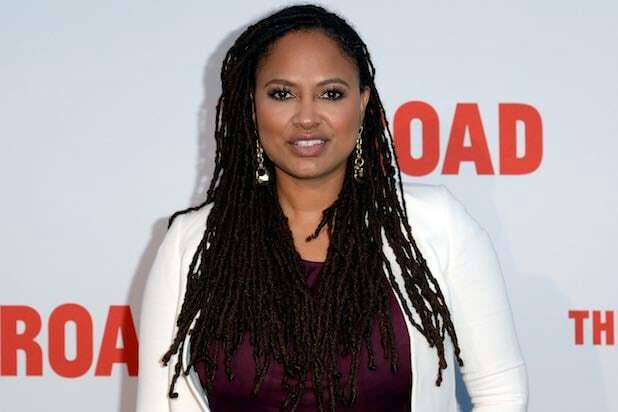 Ava DuVernay‘s new documentary “The 13th” has been selected as the opening film of the 54th annual New York Film Festival, TheWrap has learned. Chronicling the history of racial inequality in the United States, the film examines how our country has produced the highest rate of incarceration in the world, with the majority of those imprisoned being African-American. The title refers to the 13th Amendment to the Constitution, which states that a person cannot be held in slavery “except as a punishment for crime.” The film will examine the dangers of mass incarceration and the prison industry in the U.S. The film features interviews with notable names like Michelle Alexander, Bryan Stevenson, Van Jones, Newt Gingrich, Angela Davis, Senator Cory Booker, Grover Norquist, Khalil Muhammad, Craig DeRoche, Shaka Senghor, Malkia Cyril and Henry Louis Gates, Jr.
“The 13th” is the first-ever nonfiction work to open the festival. It will debut on Netflix and open in a limited theatrical run on Oct. 7. 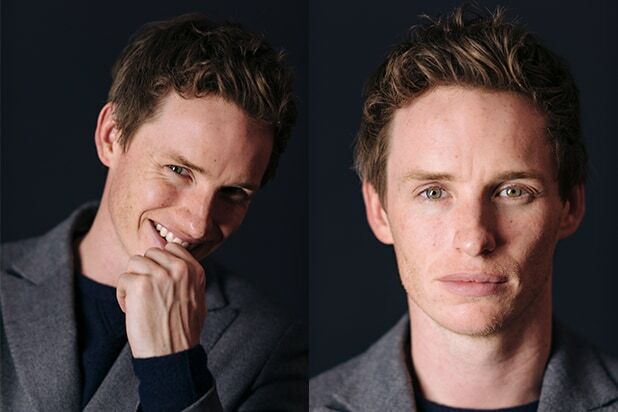 Oscar-nominated actor Eddie Redmayne by photographed by Jeff Vespa at TheWrap's awards season screening of "Theory of Everything" on Nov. 10, 2014. Eddie Redmayne was joined by costar Felicity Jones at TheWrap's awards season screening of "Theory of Everything" on Nov. 10, 2014, which was photographed by Jeff Vespa. Felicity Jones (photographed here at TheWrap's awards season screening on Nov. 10, 2014 by Jeff Vespa) was nominated in the Best Actress Oscar race for "The Theory of Everything." Oscar-nominated "Birdman" director Alejandro González Iñárritu was photographed by Jeff Vespa at TheWrap's awards season screening on Dec. 16, 2014. Golden Globe winner Amy Adams was photographed by Jana Cruder at TheWrap's awards season screening of "Big Eyes" on Jan. 6, 2015. Jana Cruder photographed Amy Adams and "Big Eyes" inspiration Margaret Keane at TheWrap's awards season screening on Jan. 6, 2015. Paula Newsome and Judge Michelle Court were photographed by Corina Marie Howell at TheWrap's awards season screening of "Black or White" on Dec. 8, 2014. "Black or White" star Kevin Costner, Mike Binder, Paula Newsome and Judge Michelle Court were photographed by Corina Marie Howell at TheWrap's awards season screening on Dec. 8, 2014. Corina Marie Howell photographed Laura Dern and producer Bruna Papandrea at TheWrap's awards season screening of "Wild" on Dec. 9, 2014. Oscar nominee Laura Dern and Bruna Papandrea were photographed by Corina Marie Howell at TheWrap's awards season screening of "Wild" on Dec. 9, 2014. Corina Marie Howell photographed Laura Dern and Bruna Papandrea at TheWrap's awards season screening of "Wild" on Dec. 9, 2014. Laura Dern (photographed here with Bruna Papandrea by Corina Marie Howell at TheWrap's awards season screening on Dec. 9, 2014) was nominated for Best Supporting Actress for her role in "Wild." Best Actor nominee and Steve Carell and Best Director nominee Bennett Miller were photographed by Corina Marie Howell at TheWrap's awards season screening of "Foxcatcher" on Dec. 11, 2014. Al Pacino was photographed by Corina Marie Howell at TheWrap's awards season screening of "The Humbling" on Dec. 10, 2014. Dan Busta photographed Carmen Ejogo at TheWrap's awards season screening of "Selma" on Dec. 18, 2014. Common, who was nominated for an Oscar for his song "Glory," was photographed by Dan Busta at TheWrap's awards season screening of "Selma" on Dec. 18, 2014. Dan Busta photographed Henry G. Sanders at TheWrap's awards season screening of "Selma" on Dec. 18, 2014. "Selma" director Ava DuVernay was photographed by Dan Busta photographed at TheWrap's awards season screening on Dec. 18, 2014.